Frank van Meel, CEO of BMW M, is proud to finally present the all-new BMW M5 with M xDrive live on stage at the EA Gamescom. This marks first time BMW has revealed a car through a videovgame partnership, unveiling the new BMW M5 at gamescom, Europe’s biggest trade fair for interactive games and entertainment. Need for SpeedTM Payback players will be among the first to experience the new M xDrive all-wheel drive as they tear through the city streets and diverse landscape of Fortune Valley this fall. The biggest news about the new BMW M5 is definitely its all-wheel drive system with three driving modes – 4WD, 4WD Sport and 2WD. The principal hardware components of M xDrive are based on the BMW xDrive intelligent all-wheel-drive system and the Active M Differential, while the central M-specific driving dynamics control software takes care of orchestrating the various components to extremely innovative effect. Under the hood, a turbocharged 4.4-liter V8 engine kicks out a hearty 600 horsepower and 553 lb-ft of torque. This bests the previous model’s output by 40 horsepower and 53 lb-ft of torque. Remarkably, peak torque sets in at just 1,800 rpm, and it remains constant up until 5,700 rpm. 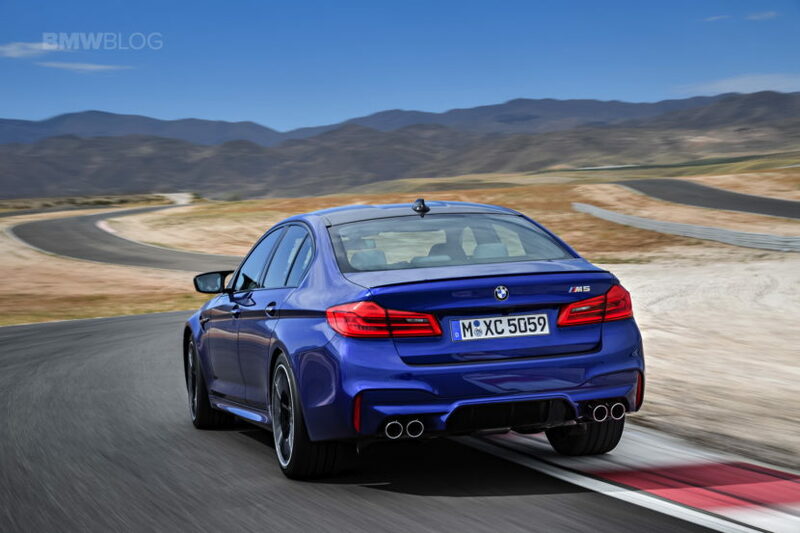 This is the fastest BMW M car today, with a standard sprint of 3.2 seconds. 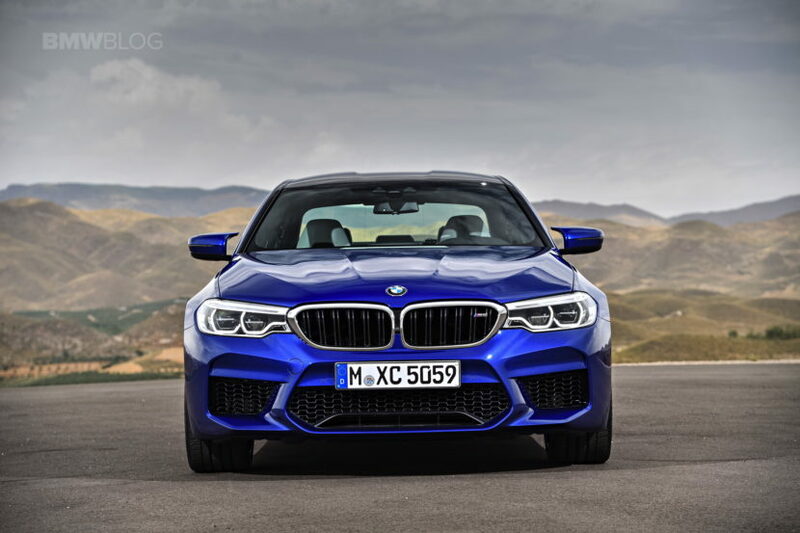 While the new BMW M5 might not look drastically different from the old car, it absolutely is. It’s different in size and shape as well as being completely different under the skin. 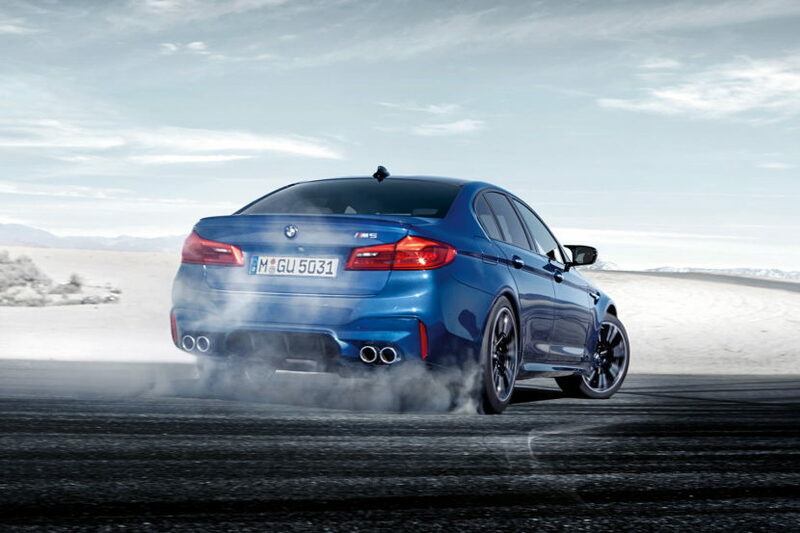 The new F90 M5 is on a completely new chassis, new engine, transmission and powertrain. It’s also far faster and more dynamic. When it goes on sale in Spring 2018, the M5 will initially be offered in a “First Edition” trim that adds a numbered plaque, 20-inch wheels, red paint and white leather. Only 50 examples have been dedicated for the U.S.